With 45 percent of all searches on Google now including local intent (finding nearby businesses) and 84 percent of those local searches resulting in purchases, local search is now the largest weapon marketers can use to increase both store revenues and local brand perception. However, many businesses, and even marketing executives, are not taking enough action to improve their local presence. In this article, I will outline a few strategies for effective local search-engine optimization. To start, it is important to understand the difference between traditional SEO and local SEO. By now, most marketers, and just about anyone working in the world of business, have heard of SEO and optimizing your website in order to show up on page one in the search results for relevant searches. Traditional SEO has less to do with location or brick-and-mortar businesses and more to do with your business’ website being relevant for certain (non-local) searches. Customers are no longer going to your website anymore (especially on mobile): They are making decisions right from Google Maps, Apple Maps, Facebook Local, Yelp, etc. Optimization for local search is very different than traditional search. Effective local SEO results in improved local search rankings and reputation of locations, which will, in turn, drive customers directly into stores. Below are three key local SEO strategies that businesses should implement into their marketing strategies and budgets. Update local listings: Your local business listings (on Google Maps, Yelp, Apple, Bing) are the foundation of your local search presence and responsible for more than 50 percent of how Google decides to rank your business in its local search results. You need to ensure that all of the information listed there is not only accurate across the web, but optimized with high-quality photos and descriptions to show a great customer experience. Managing and updating this local search data—including hours of operation, phone, website, description, categories, etc.—can either be done manually or by a local listing management provider. It will quickly get overwhelming when attempted manually: A chain with 100 locations will need to update on at least 10 local search sites per location, which means claiming and updating 1,000 business listings. Chatmeter, Location 3 and Vendasta are among providers that can help you optimize all your listings very quickly and keep them consistent on an ongoing basis. Manage your reviews: 84 percent of people trust online reviews as much as they do personal recommendations. In local search, consumers perform searches on local search sites, look at a few options, read reviews and make final decisions all within a matter of minutes. You must ensure that your locations have great reviews, and you need to make sure the quantity and quality of those reviews are better than those of your local competitors down the street. That will have a big impact on determining where your locations show up in search results. In addition, responding to reviews is equally important. Not only does ignoring these reviews impact your rankings negatively, but it will result in a significant churn, with those customers never coming back to your business. Responding to positive reviews is a great way to show that you are listening and appreciate the customers who took the time to leave you feedback. Social media management: New mobile social media users grew by 34 percent in 2017, and as many as 74 percent of customers will be using social media to help guide their purchase decisions. Social media helps to optimize for your local area, generate more personalized and relevant messaging and engage with the local community. By creating unique store pages and posts that are specific to the area where the store is located, you will appear more relevant to customers and be better able to engage on a location-by-location basis. 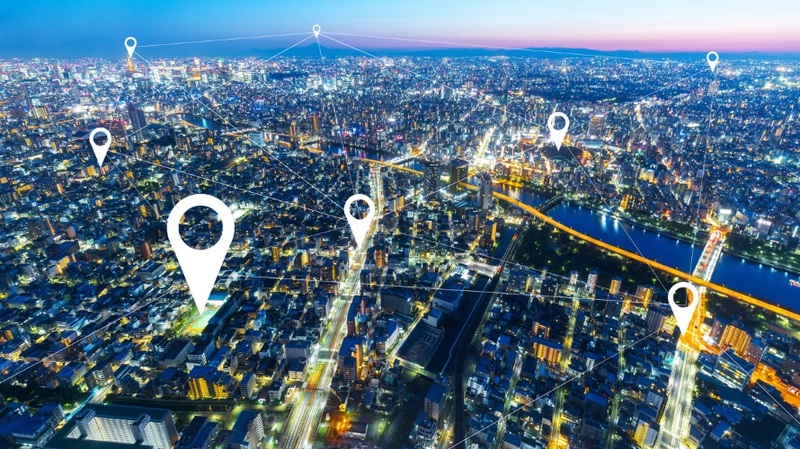 The significance of these advancements from industry leaders goes to show how influential locational data is becoming among all facets of the local search marketing industry. Collin Holmes is founder and CEO of local brand-management platform Chatmeter.